Michigan, get ready to rock! 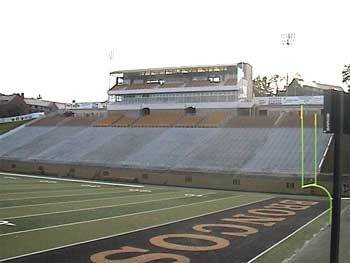 Western Michigan University's Waldo Stadium in Kalamazoo will be the site of the DCI Central Division Championships on Saturday, July 10, 2004. "We are excited to return to Michigan with a major event like the DCI Central Division Championships. The area has a long history with the drum corps activity and has always been a positive experience for our corps when we have toured there in the past," said Drum Corps International executive director Dan Acheson. "Western Michigan University's Waldo Stadium will be an excellent venue for both the performers and audience." Stay tuned to DCI.org for competing corps and ticket availability information.